Bendigo is Victoria's premier quartz mining centre having produced over 22 million ounces of gold between 1851 and 1954. This gold was won through the exploits of over 5,500 gold mining companies. The gold won had a profound impact on the State's economy stimulating new industries, raising the standard of living for generations of Victorians and leaving a city with many fine examples of Victorian architecture. Bendigo's nineteenth century foundries and engineering works helped make Victoria the manufacturing hub of Australia. The Central Deborah Gold Mine was formed in 1939. The mine was one of a minority that continued to function during the Second World War. In 1939 the mine boasted a small timber poppet head, boiler steam winch, compressor, blacksmith shop, store, change rooms, and offices. Between 1945-46 the company upgraded the mine with extensions to sheds and the installation of new steam machinery, electric air compressor, steel poppet head, and ore bins. Essentially the plant that can be seen on the site today is of this period. The Central Deborah Company Gold Mine closed in 1954. 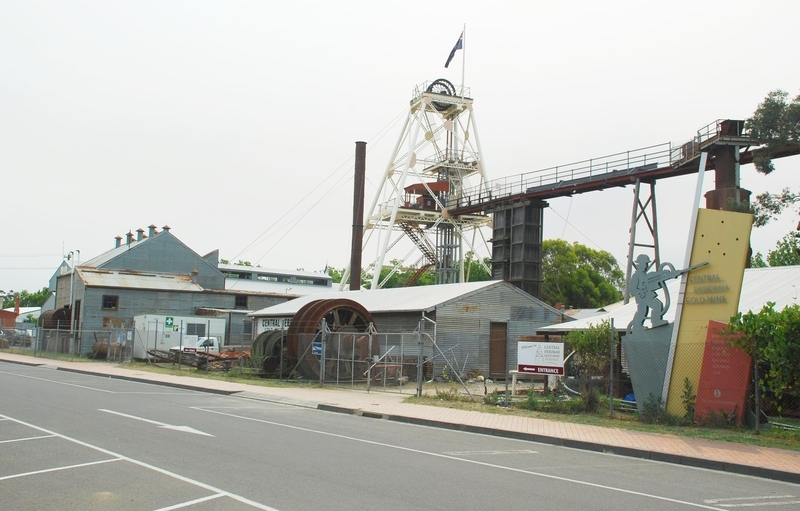 Today it is the only one of Bendigo historic gold mines to have retained its mining equipment in working condition. The Central Deborah Gold Mine is historically and scientifically significant to the State of Victoria. The Central Deborah Company Gold Mine provides Bendigo and the State with one of its most tangible and important links to mid twentieth century quartz mining. It is of outstanding historical significance as the last intact and working example of the 5,500 quartz mines that won Bendigo widespread fame as a gold mining centre. At one time Bendigo had the world's deepest shafts. Of particular scientific importance are original buildings, fittings and mining machinery that document the mine's essential character from 1939 to 1954. The working machinery- including a Cornish boiler, winding engine and two compressors - comprises one of the few publicly accessible and in-situ collections in the State. Central Deborah Company Gold Mine is now a popular tourist mine and a living part of the story of gold mining in Australia. Its historic mining equipment is used and demonstrated and several levels underground are accessible to visitors. 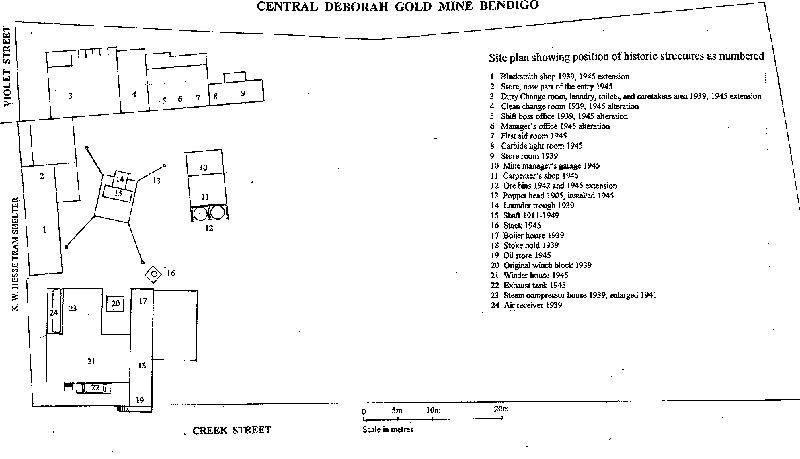 Central Deborah Gold Mine, 76 Violet Street, Bendigo, Greater Bendigo City Council. The discovery of gold in Victoria thrust the colony on to the world map. Gold created a great migration wave, wealth that built Melbourne, along with many other gold mining cities and towns and their infrastructures. Gold was found at Bendigo in August/September 1851, it was not until 3 December 1851 that the discovery was published in the Argus newspaper. With the advent of the alluvial rush, tens of thousands of hopeful diggers came to what was to become the rich Bendigo goldfield. Simple hand mining methods of alluvial gold retrieval gave way to over 3,000 horse-operated puddling machines and numerous steam-powered ones as well. With the decline of winning alluvial gold, naturally attention turned to the quartz reefs. 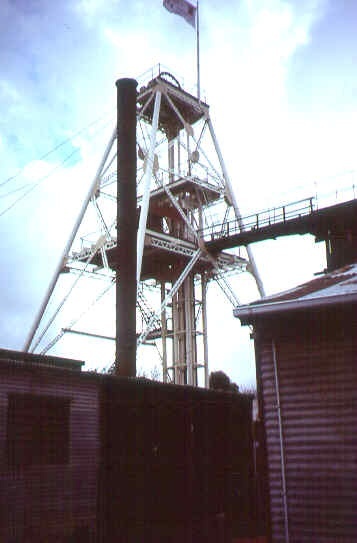 The first serious quartz reefing on the Bendigo field commenced in a very primitive way in 1852, this progressed and developed continuously through to 1954 when the last mines on the Deborah Reef ceased operating. During the 103 years of mining activity over 5,500 quartz mines were sunk in Bendigo. Early in the twentieth century the world’s deepest gold mine was the Victoria Quartz at 1.4 kms where gold was still being found. Bendigo produced a recorded 684.266 tonnes of gold, making it the richest goldfield in eastern Australia. Quartz reef mining had various phases, open cut, simple shallow shafts with horse-operated whips and whims, steam machinery and later some utilised electric power. An important support industry for gold mining was foundries and engineering works. No wonder Victoria became the manufacturing hub of the Australian colonies. Bendigo played an active role with its foundries at one time employing in excess of 800 men; machinery was produced for all parts of Australia. In 1931 with the significant devaluation of Australia’s currency, governments at federal and state levels, looked towards the gold industry as a means of producing wealth and debt redemption. The Deborah Reef, was one of the two recommended for assistance in development of mining in Bendigo so as to stimulate a revival. The Deborah Gold Mine commencing in July 1932, paying its fist dividend during 1938 and the Deborah eventually produced 1.63 tonnes of gold and its poppet head is still standing and can be seen from the Central Deborah. With the success of the Deborah, the North Deborah commenced operations in May 1937, and by August 1939 the first of over 100 dividends was paid. The North Deborah was the last mine to close in Bendigo after having produced 3.983 tonnes of gold. North Deborah’s poppet head and brick chimney stack are still insitu. Following the success of the mines on the south portion of the Deborah Reef it was then proposed to establish the central Deborah Gold Mining Company N.L.. Commencing in September 1939, the Central Deborah went on to produce 928.8 kg of gold to the middle of November 1954 when underground mining ceased. The installation of emergency lighting, hazard signs and machinery guard rails provided that the design and location of these items is considered and that their placement is visually ‘neutral’. Minor repairs and maintenance which replaces like with like. The repair of windows as long as they are retained to their existing design. Removal of extraneous items that are from a later date than the 1939-54 mining period. The pulling down and rebuilding of sections of buildings to allow removal of machinery for repair purposes provided that the rebuilt work matches exactly the building prior to dismantling. Through the registration of the mine’s original buildings, machinery, and artefacts it is desired to retain the essential character of a 1939-54 quartz gold mine. The purpose of the permit exemptions is to allow works, which do not impact on the significance of the place to occur without the need for a permit. The corrugated iron sheeting on some of the buildings is viewed as an especially important element. Their internal surfaces reflecting past use, eg. smoke staining from the operation of the steam boiler. As the Central Deborah was upgraded during the Second World War some of the fabric also reflects the scrounging of materials that was part and parcel of those times. As a working mine the site is subject to Occupational Health and Safety considerations and these should be seen as important in the continued working of the site. The continued site use also requires that from time to time machinery undergoes repair and this may cause the dismantling of buildings to remove large items of equipment. This should be allowed on the basis that reinstatement occurs in a manner that replaces the building exactly as it was prior to dismantling. Permit exemptions will be reviewed in conjunction with a Conservation Management Plan when supplied by the owners and to the satisfaction of the Executive Director.